VIEW THANK YOU NOTES FROM THE ALL AMERICAN JR. EXHIBITORS! Slideshow is set to run automatically. To manually control, select a certain picture on right, or use the controls (arrows) which includes the music controls as well. The following is the outline for the "National Tunis Junior Association". All Tunis Youth Members will automatically be a member of the NTJA. The "National Tunis Junior Association Board of Directors" will offer leadership and educational opportunities on a national level. Seven Directors and Seven Intern Directors will make up the Jr. Board. The national annual meeting will be at The North American International Livestock Exposition (NAILE) in Louisville Kentucky. The seven NTJA Directors will serve a two year term. The age limit for these positions will be 14-21 years old. The age limit for the Intern positions will be 12-18 years old. The Intern Director position will be a one year term. Any Candidate running for an NTJA Board of director position must have served at least one term as an intern director or as an officer in another organization pertaining to agriculture. (With the exception of the first ever NTJA Board of Directors Election). There will be one NTJA Director and one NTJA Intern from each region of the country. This will create an equal opportunity for all junior members in North America. There will be three adults to help direct the Junior board in the first eighteen months that the organization is forming to give their opinions/suggestions as the NTJA writes their Constitution and By Laws. There will also be four other adults that will act as mentors. After the first eighteen months the original three adults that have helped with the formation of the NTJA will step back and continue to be a mentor. After the eighteen months the NTJA will take full reign and the seven adults will act as mentors / helpers for their region. This should create Junior Leadership representation and mentorship on a National level. The NTJA will carry out programs and events to serve the Junior Members and promote the Tunis Breed across the Nation. The NTJA Board will also make recommendations for new programs and ideas to the National Youth Director and to the Board of Directors of the NTSRI. This will help to develop leadership potential and also to promote the Tunis Breed. The Applications will be available under the youth section of the National Tunis web site around the first of December. They must be e-mail dated or post marked by January 15th. Phone interviews will be conducted January 2nd - March 31st. We will have an announcement sent out in a special Jr. News Letter in April to announce the seven NTJA Board of Directors and the seven Intern Directors. This is the best and most fun way to promote leadership to grow the Youth membership and the Tunis Breed. Please get your applications in and let's have one of the most awesome youth organization in North America! Kylie Schakel was crowned the 2019 National Tunis Queen at the 2018 North American International Livestock Expo. 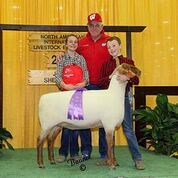 Kylie will be traveling around to many states in 2019 to support the sheep industry and showcase the Tunis breed and youth participating in many county, state, and national shows and sales. Kylie hails from the great state of Indiana and currently a sophomore attending Hamilton Heights High School. 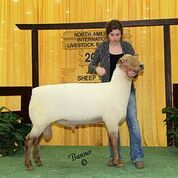 Kylie has been showing sheep at the county, state, and national levels since the age of five and began raising and showing Tunis sheep with her family in 2009. 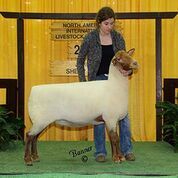 Her family farm, Millennium Farms, currently runs a flock of approximately 50 registered Polled Dorset and Tunis ewes. 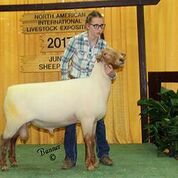 In her free time, she enjoys being a part of 4-H showing cattle and sheep along with being involved with her local FFA chapter. Kylie currently holds office of Reporter in the Hamilton Heights FFA chapter and loves competing in prepared public speaking, parliamentary procedure and any contest where she can talk. She is on the Varsity Cross Country and Softball teams at her high school. After high school, Kylie wants to be a state FFA officer and then plans on attending Kansas State University to major in Agriculture Communications. 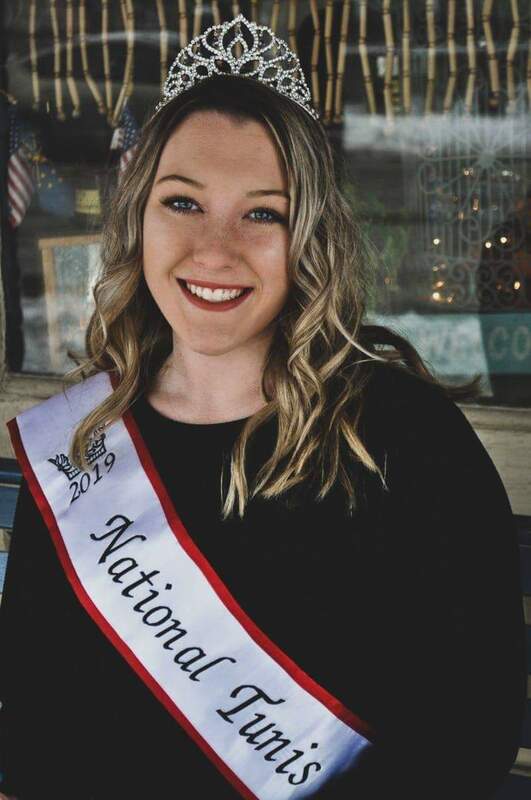 Meet your 2019 National Tunis Queen, Kylie Schakel. Congratulations to the 2018 Scholarship Recipients! Thank you to all Tunis breeders who nominated futurity ewes! Your support allows our youth to participate in an exciting, fun and educational event!